Encapsulated and graded GEM MINT 9.5 by BGS, with signature graded "10" by Beckett. A super-premium Rookie Card, and clearly one of the single most significant Trout rookies in the hobby. Among the twenty-five copies recorded in BGS’s census reporting, just one example has achieved a higher tier. 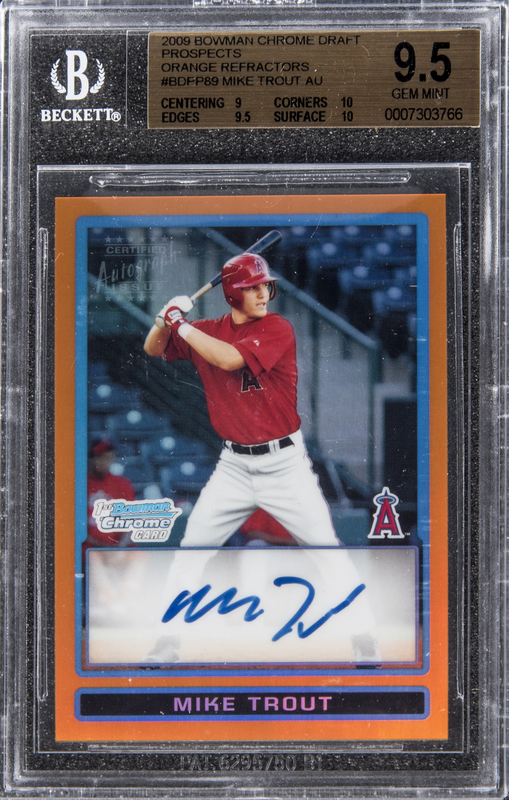 The Angels' young superstar has placed a dark and magnificent, ink signature on the obverse of this extraordinary collectible. The card's BGS condition report: Centering: 9, Corners: 10, Edges: 9.5, Surface: 10. 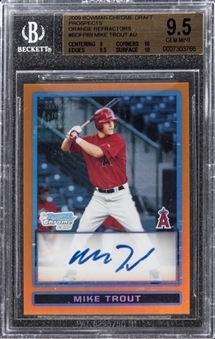 A logo on the card's front declares, "Certified Autograph Issue," attesting to the authenticity of the signature and serving as Topps' COA. The limited-edition piece is serial-numbered "14/25." This is a very special card, standing among the most valuable and sought-after modern baseball rookie cards that will be auctioned in 2019. 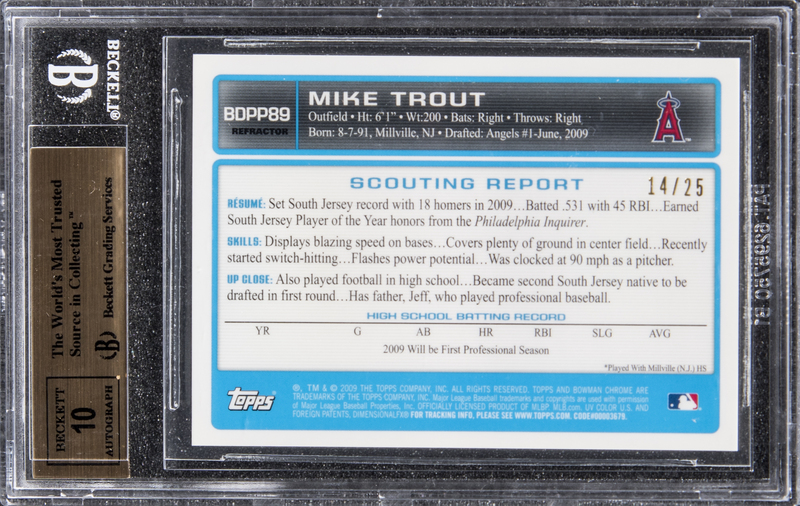 One of the most important and attention-grabbing Trout collectibles in existence, in Gem Mint condition.